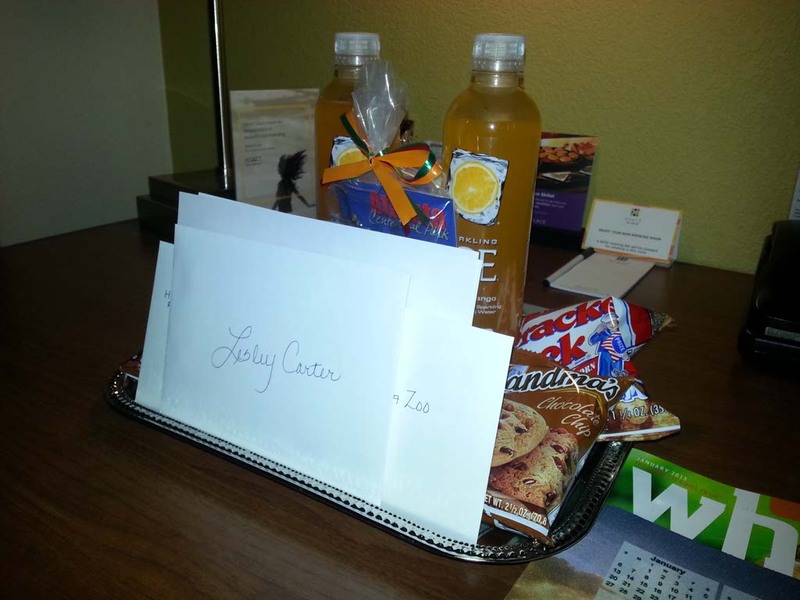 “Welcome back, Ms. Carter,” was the greeting I heard as I walked through the door at the hotel. 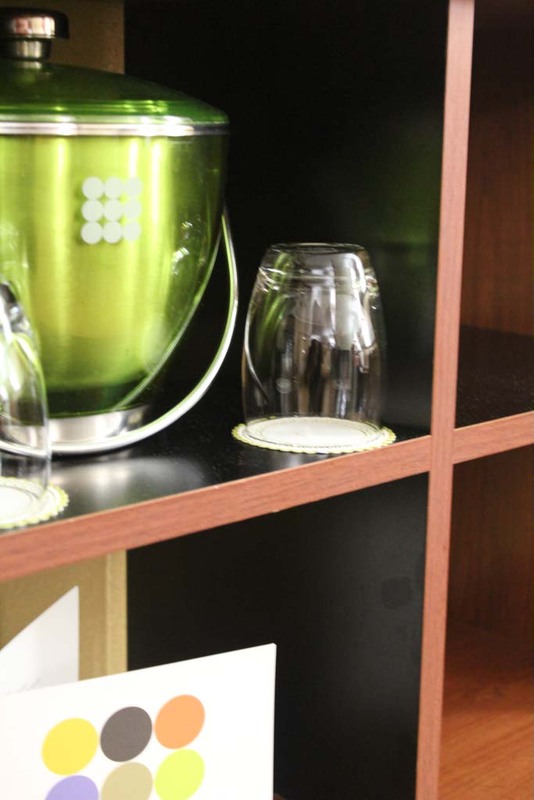 Welcoming smiles, personal attentiveness, and attention to detail make Hyatt Place Atlanta our return accommodations when we are downtown Atlanta, Georgia. Marty Morris, Director of Sales, at Hyatt Place Atlanta made our reservations. Excitedly, I mentioned that I’d be going to Zoo Atlanta while in Georgia. 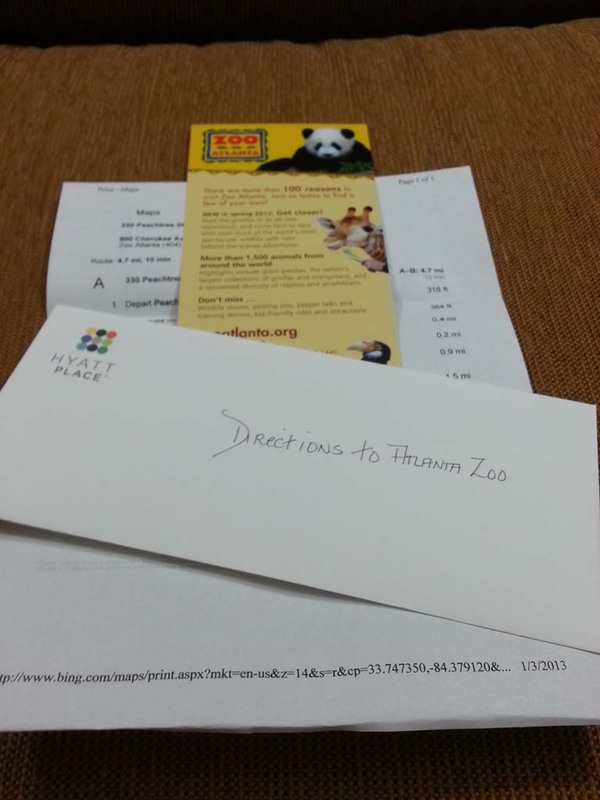 When I walked into the hotel room, there were two envelopes on the table: a welcome letter and a Zoo Atlanta letter. 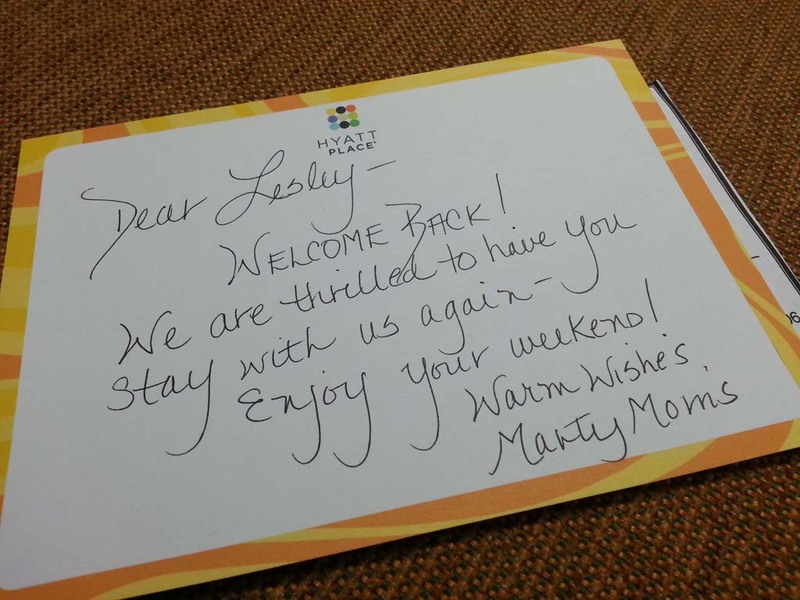 Marty took the time to write me a welcome back note and put together a package for the zoo that included directions from the hotel and a brochure. He also included a list of restaurant partners of Hyatt Place and a business card with his contact information. Equally impressive was the basket of local treats and drinks. It was like I was going home rather than a hotel. The front desk staff share a similar customer service attitude. Both ladies that greeted us at the front desk were personable and thoughtful. They smiled and cooed at Athena and quickly prepared our room keys. They offered every service and remembered to wish me luck on my whale shark swim when I was leaving for the aquarium today. Even the room attendants were helpful and understanding. Athena has a cold and I’m not sure who is in more pain, her or me. It brings tears to my eyes every time she coughs, sniffles, or rubs her little eyes. Needless to say, none of us slept last night. When the room attendant came by to make up the room, we didn’t want to be bothered. They quickly gave us extra tissue and towels, wished us well, and said if we needed anything else we could just ask. I went back out twice to ask for things that I thought would help with Athena. Even though I’m certain I was cranky and not very friendly, with about two hours sleep in two nights it seems likely I was short with them, they stopped everything else that they were doing to help out. Darren’s company has an office in Atlanta and the city has a great deal of family fun and adventure to offer, making it likely that we’ll be returning regularly. It’s great to have a place like Hyatt Place Atlanta Downtown that we can call home when we’re here.